I just had service done at this location and had amazing service through Ryan Thoele! He was extremely nice and helpful throughout the entire time I was there. The service was done efficiently and I got out of there at a reasonable time to get what I needed to get done for the day. Ryan explained everything that was done so I knew what I was expecting! If you need service done and with a someone friendly and efficient, just go in and ask for Ryan! Madeline did an excellent job in arranging a quick agreement that met my needs. She located a car out of state quickly and got it in quickly and with no fuss. Will definitely buy my next GTI from her when the MK8 comes out! I was very Satisfied with Stacey politeness and friendly personality she was warm and very nice to me. She showed me SUV were to high on miles and way to Expensive for me and very low mileage cars that were in my price range. She showed me what was available in my price range and low mileage that I was looking for she did awesome job. Armin did awesome job as well explaining my paperwork to me. One the the best buying experiences ever. My salesman Blaze was awesome and easy to work with. Great deal on a great car. Would definitely recommend Suntrup VW. Madeline is great with anything you need, I bought my car 5mos ago, I came in today for a quick service and was greeted by Madeline and Beau anything I need they take care of. I recommend Madeline for your sales needs she will get you the best deal. New Volkswagen and Used Car Dealership in St. Louis, MO – Suntrup Volkswagen Serves Affton, Kirkwood, Oakville, Saint Peters, Saint Charles & Entire St. Louis, MO Area! 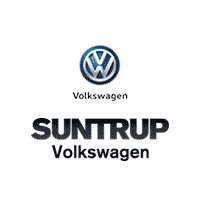 New Volkswagen Models Available At Suntrup Volkswagen In St. LouisAt Suntrup Volkswagen, our team takes great pride in our comprehensive selection of new Volkswagen models. From refined sedans such as the Volkswagen Tiguan, Volkswagen Atlas, Volkswagen Jetta, Volkswagen Passat to speedy hot hatches such as the Volkswagen Golf, our showroom features a Volkswagen model for every taste and driving need. Further, with many incentives also being offered on our new inventory, you can rest assured that when you buy with the Suntrup Volkswagen team, you’ll be buying a vehicle that’s been competitively priced. If it’s a used car, used truck, used SUV or a used mini van that you’ve got on your mind though, don’t fret! At Suntrup Volkswagen, our showroom is always featuring a great selection of Certified Pre-Owned Volkswagen and Pre-Owned Vehicles in St. Louis, MO that will be sure to please even the most selective of tastes. Not to mention, with many pre-owned specials and featured vehicles, you’ll be getting the most bang for your buck when you shop for a used car with the Suntrup Volkswagen team. Of course, for many of our customers, financing is top of mind when shopping for their next car. Fortunately, obtaining an affordable auto loan is easy when you visit the Finance Center at Suntrup Volkswagen in St. Louis. Simply fill out our confidential financing application and our team of number crunching pros will help you obtain an affordable and flexible auto loan. Our team understands how confusing obtaining financing can be, so let us set you on the right path! Find Volkswagen Parts and Volkswagen Repair in St. Louis at Suntrup Volkswagen! While you might expect your experiences with our team to end there, that really isn’t true. Keeping your vehicle in top notch condition is absolutely vital to its dependability and that’s why our Service Center team is committed to providing your car with quality vehicle maintenance. From regularly scheduled oil changes to providing you with genuine Volkswagen parts, our service team is here to keep your Volkswagen on the road for miles to come! At Suntrup Volkswagen, our team takes great pride in serving St. Louis, Affton, Kirkwood, Oakville, Saint Peters Saint Charles and Saint louis area drivers. From helping our customers to find a new or used car that perfectly complements their lifestyle to helping them obtain an affordable auto loan, our team is here to help our customers travel the path to car ownership with absolute ease. If you’re ready to begin shopping with us or if you have questions about what our team can do for you, we invite you to visit our showroom in St. Louis, MO.